So far, I’ve put together a list of the ten best cameras of this year. Now it’s time to focus on what we use for long exposures and optimal stabilization: tripods. I consider the tripod to be a must-have in the any photographer’s kit, regardless of what genre he works in. You never know when you might need it and it’s best to have one lying around than to be missing one. Other than the classical uses, one of the coolest things about using a tripod is that it slows you down and gets you thinking a little bit more about the picture you are about to take. For that, and many other reasons, I strongly recommend a tripod from the list below. 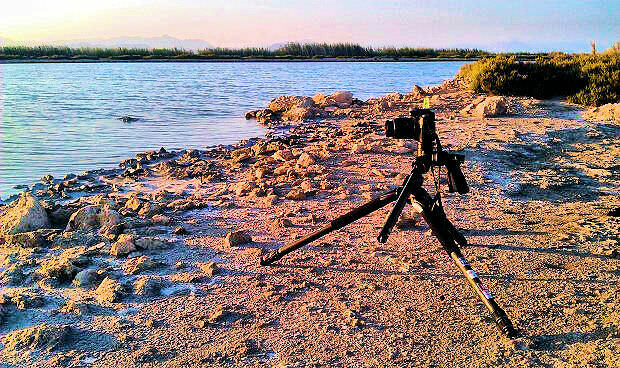 Here are our top ten picks for tripods to use in 2013. This Oben has a total load capacity of 11lbs and a maximum height of 60.4”. One of its strong points is that it folds to only 21”, making it a good option if you want something light, but with fair supporting power. It also has a removable head and 5 bubble levels. See more specs and photos of this tripod here. 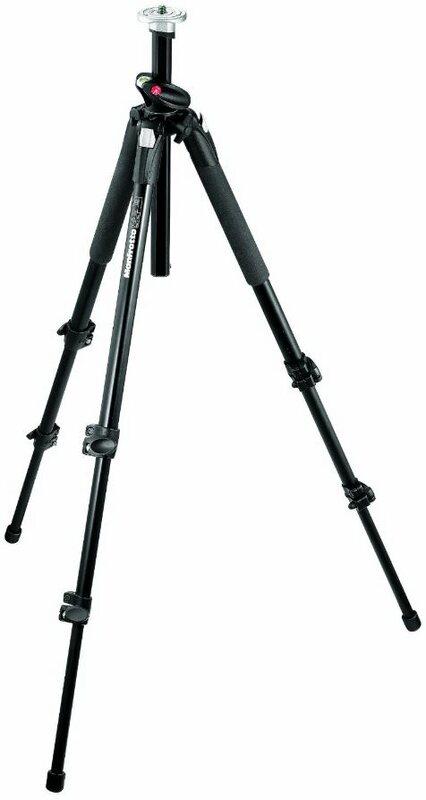 The 190 series from Manfrotto is one the most popular in the tripod market. The XPROL is the tallest of the series, making it more comfortable to use for taller people. It has a load capacity of 11lbs and a closed length of 25.22”. 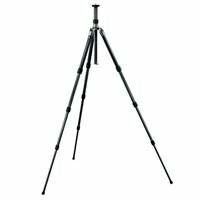 It also features Manfrotto’s Q90 system, which allows the center column to be used vertically in a normal mode or swung 90 degrees. One of the coolest things about this model is that in only weighs 3lb. It has a friction-lock coating on the base plate of the collar to prevent inadvertent rotation of the head. The load capacity is an impressive 13.2 lbs. and the head is a standard single-action ball head. This model from Giottos has a maximum height of 66.1” with the center column up and a weight of 3.9lbs. The load capacity is 17.6 lbs. It is solidly built and the tilting center column allows you to fix it in various positions according to needs. The folded length is 28.3”. It is a solid option for landscape and general outdoor photography. 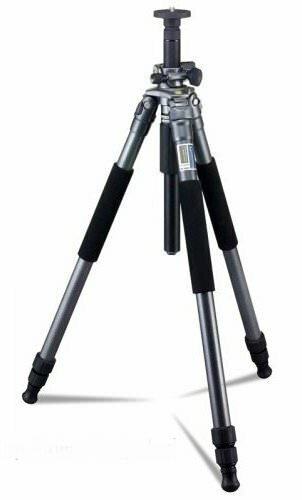 While this might not be the most affordable tripod on the list, it is no doubt worth looking up. 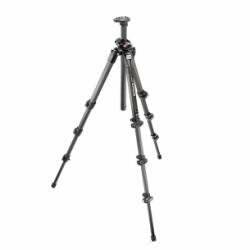 It is one of the most preferred tripods among travelers, as it weighs no more than 2.5lbs. The maximum load capacity, with the column down is 17.64lbs. The material it’s made of is carbon fiber 6x. The 4 section legs turn 180 degrees, therefore, when folded, they completely enclose the head. 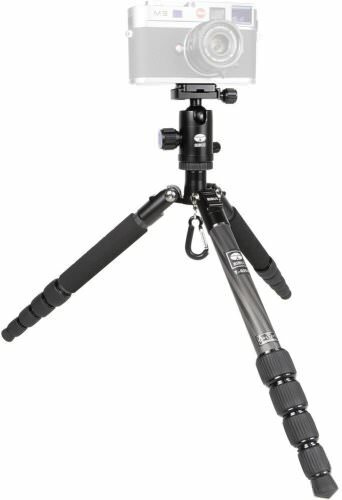 This is another of Gitzo’s advanced design tripods. It has a modular top casting design and it too is made of carbon 6x. It has increased torsion rigidity, in a size that makes it flexible and adaptable. It is a good choice for wildlife and other types of photography that require long lenses, up to 400mm. The closed length is 28.39”, and the maximum height is 78.94”. It comes with a C-10X ball head and it is made of high quality carbon fiber. It features a mechanism that automatically locks the legs in 3 different angles. It can be used to shoot as low as 4.3 inches and the legs fold up to 180 degrees. It is one of the best examples of getting more than what you pay for. 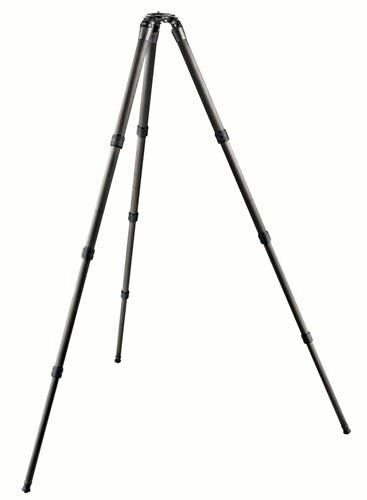 At number three on our list, we have another tripod from Manfrotto. 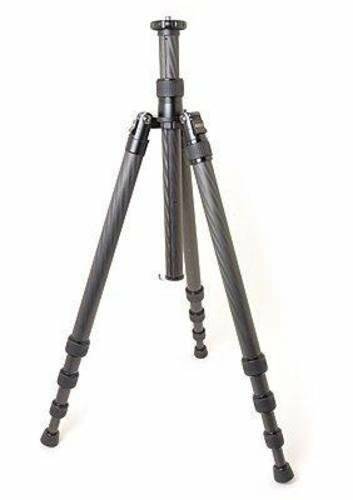 It is made of 3 layered, 100% full carbon tubes (many tripods use carbon composite tubes). The legs are divided into 4 segments for added compactness and leg locking levers have a new, ergonomic design. The magnesium top plate features a built in bubble to help with the leveling. This is the kind of tripod that stands out from its competition with several special features. One of them is the MACC, or Multi Angle Central Column. What it does is allow you to maneuver the central column between 0-130 degree, covering a full range of horizontal and vertical positions. Next, you have the ISSL system, which stands for Instant Swivel Stop-n-Lock. 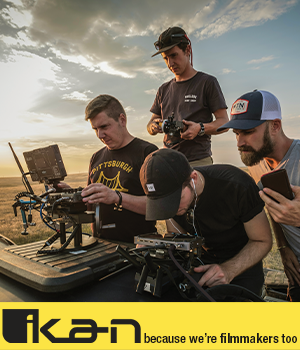 What it does is allow the photographer to quickly and securely reposition the column, so that even if you think you are being slowed down by using the tripod, you lose very little speed in operation. The hexagonal column is less vulnerable to accidental slippage and the feet are designed to make it at home in any terrain. At a very decent price, this Vanguard offers top quality design, materials and performance, making it number two on our list. 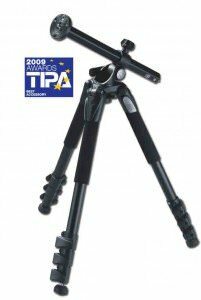 Our number one tripod choice has to be the N-2204X. It has a maximum load capacity of 33lbs while weighing no more than 2.9lbs. 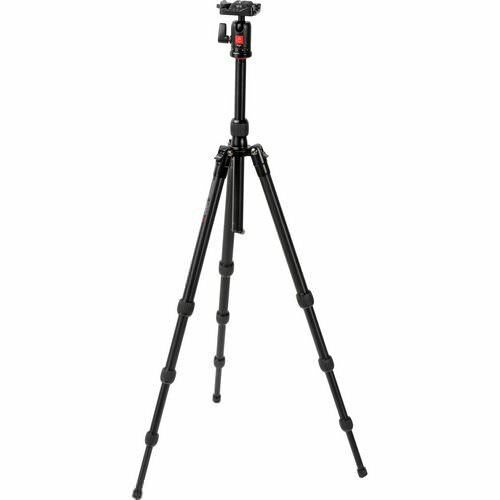 The folded height of it is 18.4” and it also has a removable leg for a monopod. The maximum height, with the column extended is 65 inches and the minimum height is 6.8 inches. The material is carbon fiber 8x and the legs are divided into 4 sections. The N series has made a name for itself throughout the years by offering innovative, top quality features and design. 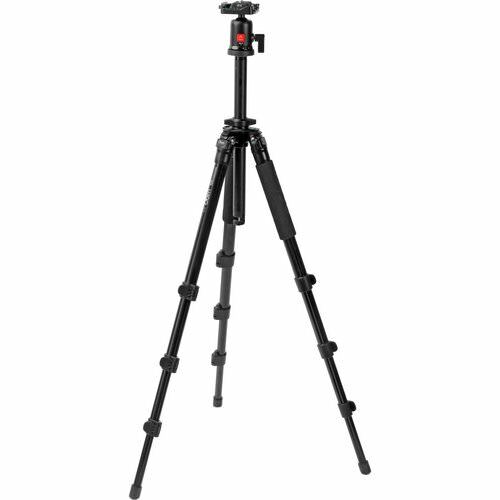 The N-2204X is no exception and therefore it makes number one on our list of tripods to use in 2013.